Is your Dog Tech Savvy? We live in a world where technology is moving at an increasingly fast pace, with new gadgets being developed mostly to improve and benefit our daily life, but one area it has vastly helped is aiding dog ownership. Owning a small dog comes with many responsibilities, you’re not an owner but a parent, and it is your duty to ensure your pooch is kept safe, loved and happy as much as possible, and technology has helped. According to the January 2016 Pet Industry Leadership Conference, people who own pets are more likely to engage with technology on all different devices including Smartphones, laptops, tablets, and desktop computers. According to this same conference, pet parents used the internet to research products, look at reviews, check prices and locate coupons. Industry experts have taken notice and began offering more techie gadgets for the savvy dog parent. We’ve put together some of the main ways that technology can help you and others when owning a small dog. 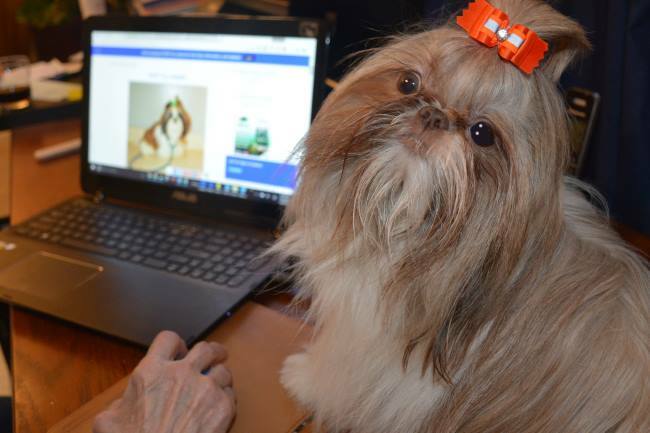 Perhaps the single most significant technological advance is the internet – a stratosphere of information on any topic or interest, and one which will assist new small dog owners. If you’re new to the world of owning a dog, then the internet can provide everything you need to know, from information on the type of breed you are considering, their traits, how to best look after them including exercise, grooming, dietary recommendations and even illnesses. A few strokes on your keyboard and a click of a button, and you’re instantly overloaded with thousands of pages of information. Technology for dog owners can get overwhelming when you think that there are billions of sites worldwide all vying for your attention. New small dog owners would benefit the most, but even veteran pet owners look to the internet for guidance. You can even find specialist websites catered to particular breeds, which can sometimes give you greater insight to breed ownership and what to expect from puppy through to adulthood. And when your dog is not feeling himself or is experiencing pain in a particular area, you can find out whether this warrants immediate veterinary attention. You can even let your dog watch “Doggie TV” – specialist television channels available online for your pet to view whilst your busy or not at home. There is nothing worse than your little dog getting lost or disappearing when you’re not looking, and this is perhaps one of the main concerns of all pet owners. Dogs get excited, see something they want to chase and make a run for it. Thankfully, you can now purchase specialist dog trackers to aid you in finding your pet if they do not return! Unlike microchips which are only useful for proving ownership of a pet, a pet tracker usually comes attached to your dog’s collar and can be accessed via an app on your smartphone. If you are struggling to find your pet, you just track them on your phone to pinpoint their location until they are found. They are lightweight and operate using a GPS signal. More advanced tracking collars can also be configured with email alerts so if your pet manages to escape your home garden, you will be instantly notified so you can find them before they get too far. Owning a small dog is great fun, they are cute, cuddly and lovable, but forming a strong bond with your small dog is more than just being their best friend. You need to make sure they are well trained and obedient, as they will respect you and listen to your commands which are important if you’re alerting them to a dangerous situation. There are many guides on training and obedience on search engines, videos on YouTube and even specialist apps available for most smartphones. This information is freely available and can play a huge advantage in small dog ownership, making sure you train your pet positively using the right methods. Small dogs benefit from training and obedience massively as they get so accustomed to being cuddled and let up on the sofa/bed due to their small size, they can quickly forget their role in your house and take control (become pack leader). By establishing a loving but obedient relationship, your dog will be better behaved and act as you request. What about if you work 9-5 and suddenly an important task comes up, or your boss asks you to work late? 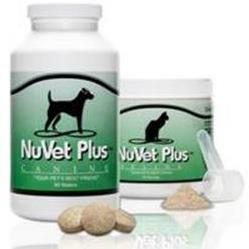 Your dog is at home awaiting you to return to feed them, and now you’re going to be a few hours late. Thankfully, there is now a dog feeding gadget which will hold an exact volume of food. You can access it via the internet and release their food at either pre-defined times or when you think your dog should eat. If you’re running late and you want your dog to eat at a particular time – then you can just access your dog feeding gadget and release some food for them. What about for those who have to work long hours at the office and are worried about their small dog being left at home all alone every day without any interaction? Well, now you can connect to a dog monitoring camera installed in your home from your computer or phone and see what your pet is up to. Although this is a great system for pet monitoring, it has commonly also benefited those dogs who suffer from separation anxiety. 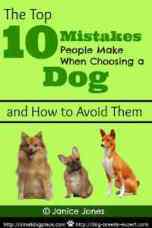 It allows the dog owner to see just how the pet behaves when left alone, and how long it takes them to relax. There are many dog monitoring systems available, some just providing “one way” viewing of your pet, to the camera and video systems which allow your pet to see and hear you as well, and some which even let you release them a treat! Technology plays a major role in our lives with many of us being ‘always connected,' thankfully this is extending to the lives of our pets and making small dog ownership much easier. Amazon’s dash button allows you set up the product of your choice, press the button when you are running low on the product, and have it delivered to your house before you run out. 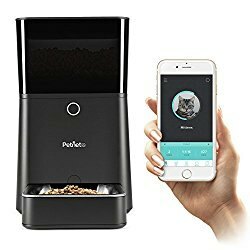 This works great for dog food, but you can also purchase household goods with the push of a button. This could be as fast as technology for dog owners gets. Michelle Hopkins is the owner of Berties Boutique and a proud parent to a miniature schnauzer. Visit Berties Boutique on Facebook.